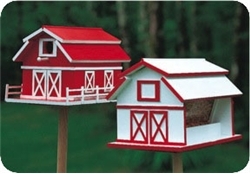 From Bird Houses ,to Wind Chimes any of thes projects could help personalize your outdoors! Finished size: 8" wide. You get full size patterns for all curved pieces, plus instructions and a list of materials you need to build the house. 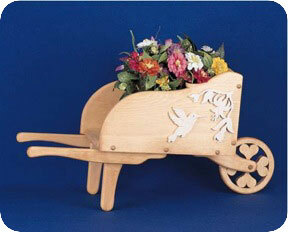 GREAT project for the kids....no nailing or gluing required! Just help them assemble the pieces similar to a puzzle. Neat and interesting project for ALL skill levels. 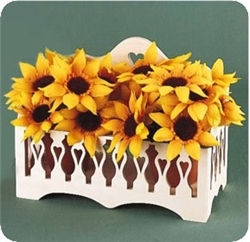 Use this charming planter to brighten up a corner, or table display. 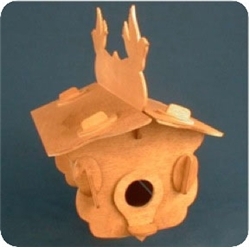 9" long,classically slender bird feeder features country style. With many painting options for this style,sure to fit into all varieties of backyard (or indoor) motifs....very versatile design. You get full size patterns for all curves, plus a list of materials needed and good instructional help. 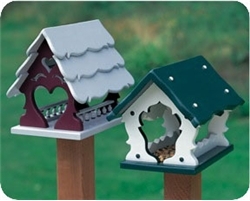 Help your furry or feathered friends to dine instyle. 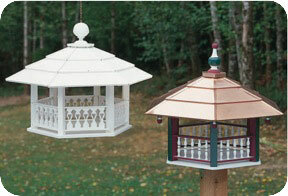 These 2 gazebo style feeders can be used for chipmunks and squirrels as well as for your favorite birds. 17 inches Wide x 15 inches High. 11" Wide. Cute Heart Design.Use as a planter or Simply put your mail in it. with two places for potted plants on the sides. 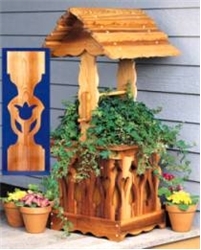 Make a wish for your favorite flowers to grow in this classic wishing well. 12" Long. You get full size patterns where necessary in this large, 21 page project pattern. Classic barn style projects. Easy enough for any skill level. Materials list and instructions provided. 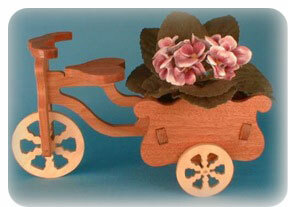 14" Long Bicycle with cart to put your favorite flowers in! 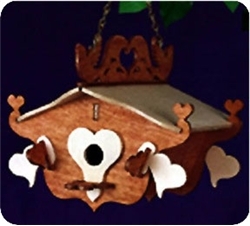 2 full-size designs, simple step-by-step instructions, and assembly diagrams will have you creating beautiful birdhouses. 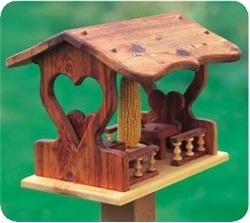 Your fine feathered friends are sure to flock to this bird house and feeder. 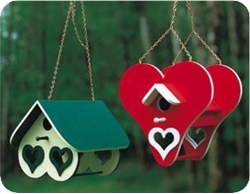 Hung from your favorite tree or mounted on a sturdy post, they are sure to provide hours of bird-watching enjoyment. Finish by painting to your liking or to match yourhomes decor or trim. 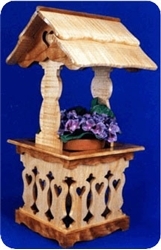 Suspended from your porch or favorite tree, This innovative design is simple to make from 5/32” outdoor Finnish Birch - no nails, glue or screws needed for assembly. 10” wide. 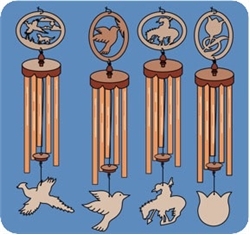 Relax on your patio or porch and enjoy the beautiful melodic sound of these enchanting wind chimes set into motion with even the gentlest of breezes. 25” tall. 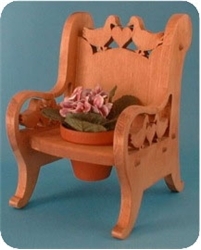 Elegant scrollwork adds beauty to this useful plant stand / garden table. 31”H x 14.5”W. 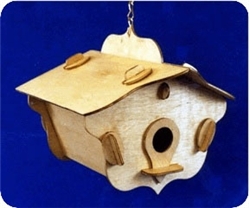 An easy “tab & slot” system makes this birdhouse a quick and easy project - even for beginners. 9” high. 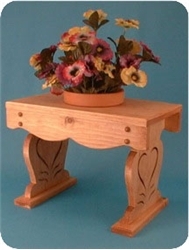 Here’s a great beginner project for scrollers who want to make a versatile and usable piece of furniture. 30”H x 16”W. 4 - 4 1/2” flower pots. 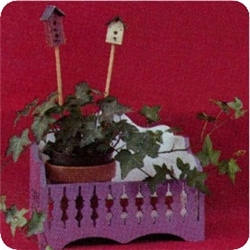 Add color and charm to your porch or patio with our adorable planter. Leave unfinished for a more rustic, country look or paint to your liking. Will hold two 4” pot. 10” wide. 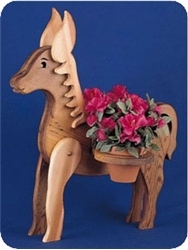 Indoor, or out, this cute planter is sure to be a big hit with any gardener. 14”H x 9”W. Attention doll collectors! 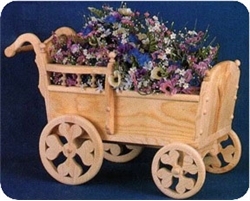 Our unique carriage will have you beautifying your indoors as well as your outdoors. 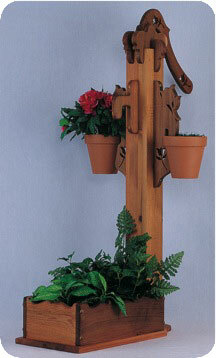 Inside, display your favorite dolls, outside fill with plants and flowers for a colorful arrangement. 26”L x 17”H. Invite your neighborhood squirrels for a romantic dining experience. You supply the corn and they’ll supply the entertainment! 16”L x 16”W. 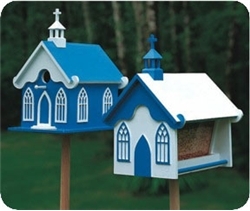 If you enjoy bird watching, these bird feeders are for you! 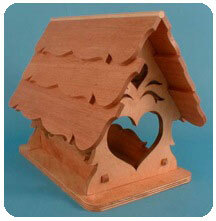 A generous 16”L x 11”H - there’s plenty of room for several feathered friends!